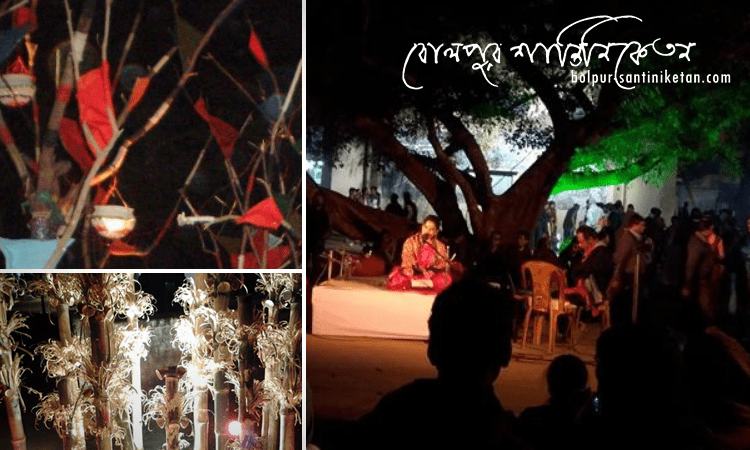 Nandan Mela is a special attraction for the Art lovers, organized by the department of Kala Bhavan to recall the birth anniversary of Nandalal Bose at the beginning of the month of December ( 1st and 2nd ). Nandalal Basu was the master figure of contextual art and one of the pioneers of Indian art. After taking charges of Kala Bhaban in the year 1922, he reshaped the institute. He aspired to bridge between living tradition and fine arts. He believed to have an annual art fair for the community people. In the year 1973, Nandan Mela was first framed by the student’s welfare fund. Various kinds of activities including Painting, Sculpture, Ceramics, Graphics, Design, and Art History Departments are involved by the students. There are many stalls having artworks like craft items, diaries, stationery, fashion jewelry, paintings, prints, clay plates and ceramics, wood and metal sculptures are available for sale at affordable prices which are made by the teachers and students. In addition to these, every year Department of Art History brings out the annual art magazines, Nandan and Searching Lines for the immense readers. Thousands of art lovers from India and outside the country join the fair. Nandan Mela gets ornamented in the year 2009 when K.G. Subramanyan’s new black-and-white mural opened in the Kala Bhaban. When the whole courtyard and buildings are lighted, it feels like wonder and iconic festival. In the early morning of 3rd December, on Nandalal Basu’s birthday, a procession proceeds with candle-light towards the early home of Bose in Visva Bharati campus. On the very Next day, teachers and students have the picnic to celebrate the nice completion of Nandan Mela.